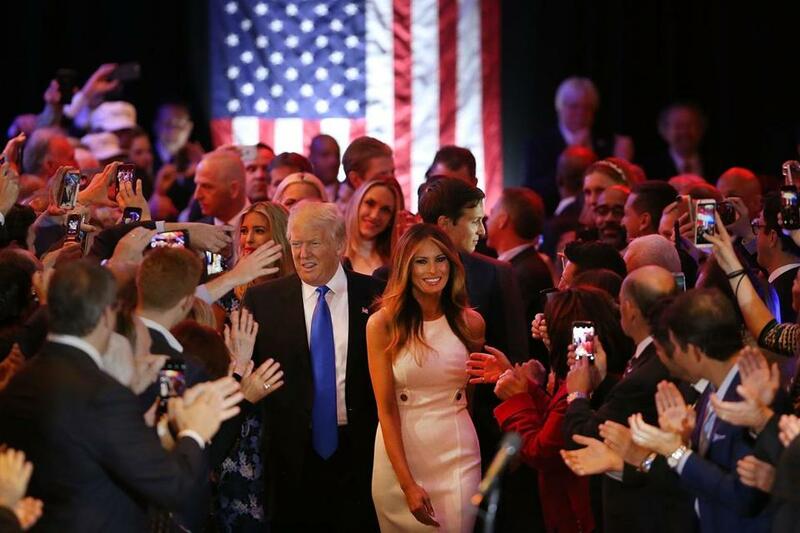 Donald Trump and his wife, Melania, arrived at Trump Towers in New York City to speak to supporters on Tuesday. Now’s the time for backers of the #NeverTrump movement — from Mitt Romney to Nebraska Senator Ben Sasse — to prove that their vows never to support Donald Trump were more than a bluff. After Trump’s victory in the Indiana primary on Tuesday, and the withdrawal of Ted Cruz and John Kasich from the race, it’s no longer plausible to imagine anyone else claiming the Republican nomination at the party’s convention in Cleveland. Trump’s opponents inside the party have to accept the need for new strategy, and then commit to one now. Rational options include cobbling together an independent candidacy, backing an existing third party contender, sitting out the election entirely, or backing presumptive Democratic nominee Hillary Clinton. But if supposedly anti-Trump Republicans fail to do anything, and do it soon, the Never Trump movement will only prove that it was Never Serious. Trump has been the overwhelming front-runner since March, but Republicans opposed to his candidacy have spent much of the two months since then devising strategies to deny him the nomination at what they hoped would be a contested convention. The idea was that if Trump could be deprived of a delegate majority, the convention might pick a different candidate on a second or third ballot. While that approach was always an uphill battle — national political conventions haven’t been seriously contested in decades — it was a fight worth waging. But Trump’s victory in Indiana closes that pathway. He now appears set to coast to the 1,237 delegates needed for the nomination. 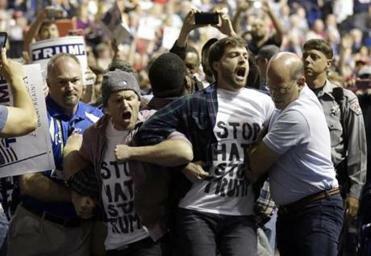 They aren’t thugs; they are acting out of love for the country. The challenge facing unaligned Republicans is sharper now too, and they’re running out of excuses not to take sides. As Trump gained momentum this spring, some Republican officials retreated to a stall tactic, pledging to “support the nominee,” whoever it is. Well, the GOP nominee is Donald Trump. A contingent of pundits believes that an organized opposition to Trump within the GOP would just provide Trump an excuse if he loses in November, creating a “stabbed in the back” narrative and inviting more strife within the party. A definitive loss, on the other hand, would break the Trump fever for good. Possibly. But the fate of the GOP is less important than the fate of the country, and putting up every honorable obstacle to a Trump presidency should be the goal of the Never Trump movement from now on.